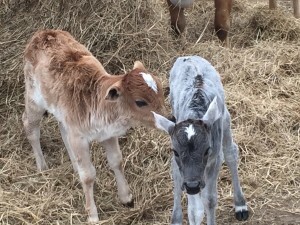 The little bull calf on the left will be available after being weaned. Deposit will hold him if interested. Bull calf on the right has been sold.